Home The 2018 Honda Accord is Here! The 2018 Honda Accord is Here! There are few cars that are more emblematic of Honda's rise from a foreign manufacturer of compact cars to a household name in the global automotive market than the Honda Accord. 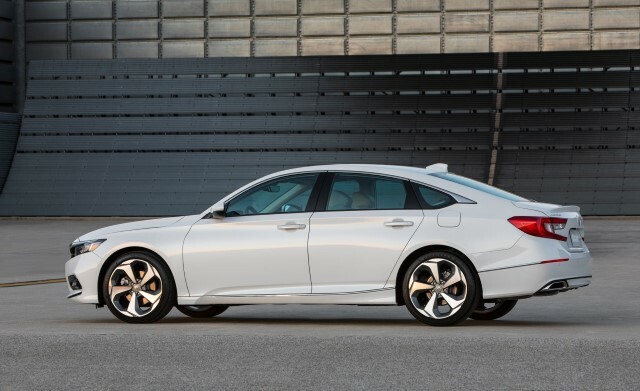 Since its introduction in the 1970s, the Accord has won numerous awards and has been established as the gold standard for the mid-size sedan segment. Now in its tenth-generation, the 2018 Accord again raises the bar for all other affordable and fuel-efficient sedans on sale today. Power in the new Accord comes from either a 1.5L or 2.0L displacement engine, both equipped with a turbocharger and direct injection fueling. Unfortunately, the perennial favorite V6 will not be available, but we think the 252hp 2.0L engine derived from the one currently powering the new Civic Type R will more than make up for the loss in the eyes of true Honda fans with peak torque coming on much lower in the rev range. Similarly, the new 1.5L turbo option replaces the outgoing 2.4L naturally aspirated motor in the last generation. While power and torque only see a modest bump, drivers will see greatly increased efficiency because of the smaller displacement coupled with forced induction. One of the biggest surprises to many of us here and BK Honda is the availability of an optional 6-speed manual transmission in the Sport trim package. However, two other transmission options are also available if you don't have the need for a three-pedal driving experience: the 1.5L comes standard with a continuously variable automatic while the new 2.0L comes with an all-new 10-speed automatic gearbox that should further increase the fuel efficiency and performance of the top-tier trim levels. 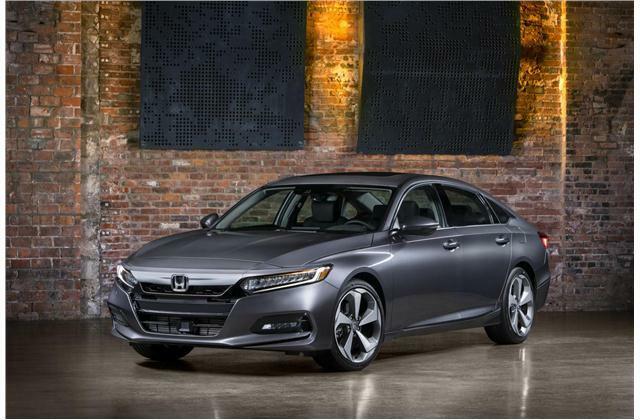 The most striking change to the new 2018 Accord lineup are found outside with an all new chassis and body styling. While the two-door coupe does not return for the new generation, the standard four door body style has been sculpted into a fastback design that should create much more excitement than past designs. Also notable for this generation is the use of more ultra-high-strength and high-strength grades of steel in the chassis than in any other vehicle offered in Honda's lineup. This helps create a stiffer and safer chassis that is up to 180 pounds lighter than the outgoing model. Not to mention, the added rigidity enhances ride quality, handling, and cabin comfort. Beyond the new powertrain options and redesigned styling, the 2018 Honda Accord will also offer more technology than ever before. A new two-mode chassis settings system will be standard on all models for 2018 which will allow drivers to adjust steering response, transmission shift points, and the optimal adaptive dampers for spirited driving. Standard safety systems include automatic emergency braking, lane assist, adaptive cruise control, and traffic-sign recognition plus optionally available HondaLink telematics for remote locking, engine start and diagnostics, plus stolen vehicle tracking including geofencing and speed tracking. We'll start to see the all-new 10th-generation Accord in our showroom this fall here at BK Honda and one thing is for sure: it's a Honda like you've never seen before.